I Have No Books or Records, Can I Still Sell My Business? Selling your restaurant is no easy feat. It isn’t something to jump into without the right support and preparation. Make sure you understand the essentials of restaurant sales before you get the For Sale signs ready. The wrong price can destroy your chances of selling your restaurant. Potential buyers may use one of a few different methods to determine the price they’re willing to pay for your business. If your business is not making money, or it is marginally profitable, you will most likely pursue an Assets in Place purchase. Your buyer will pursue the fixtures, equipment, lease, and licenses that go with your business. In an Assets in Place purchase, your buyer most likely has his own menu and concept in mind, so he is not interested in the name or menu of your existing restaurant. A Going Concern method of evaluation indicates that your business is making money and the buyer has an interest in maintaining your business model, including the name, menu, operating systems, and personnel. With this method, the lease, leasehold improvements, fixtures, equipment, name, menu, concept, goodwill, and cash flow are included as part of the sale. Since selecting the right location is one of the most important factors for business success, buyers will look carefully at location details such as built out market, stable demographics, growth potential, diversified clientele, strong visibility and easy access, heavy traffic, nearby market generators, rent affordability, and trade area draw. Buyers will also be looking to see if your business is located in a place with a mix of residents, retail businesses, office buildings, hospitals, schools, and other institutions that allow for diversified clientele. 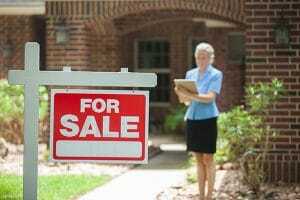 Be prepared to highlight the best assets of your location to attract buyers. You may be a restaurant expert, but that doesn’t mean you’re a restaurant sales expert. Working with a business broker can make all the difference in your sales success. Call (813) 750-0275 to start working with Tampa Business Broker and obtain the professional support and expertise you need to sell your restaurant for the right price.